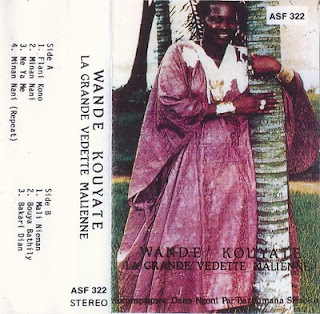 You may remember Wande Kouyaté from an earlier post on this blog, but I doubt you would guess this is the same artist just by listening to the music. While the cassette I posted earlier had a lusciously rich and 'live' ambience, the sound on this cassette is bone dry. This is partly due to the accompagnement by none other than the legendary Vieux Lion himself, Bazoumanaba Sissoko. Wande Kouyaté, like many of Mali's divas, saw her career lift off through her involvement with the Ensemble Instrumental National. In this she followed in the footsteps of her mother Bah Tounkara, who was a member of the very first Ensemble. 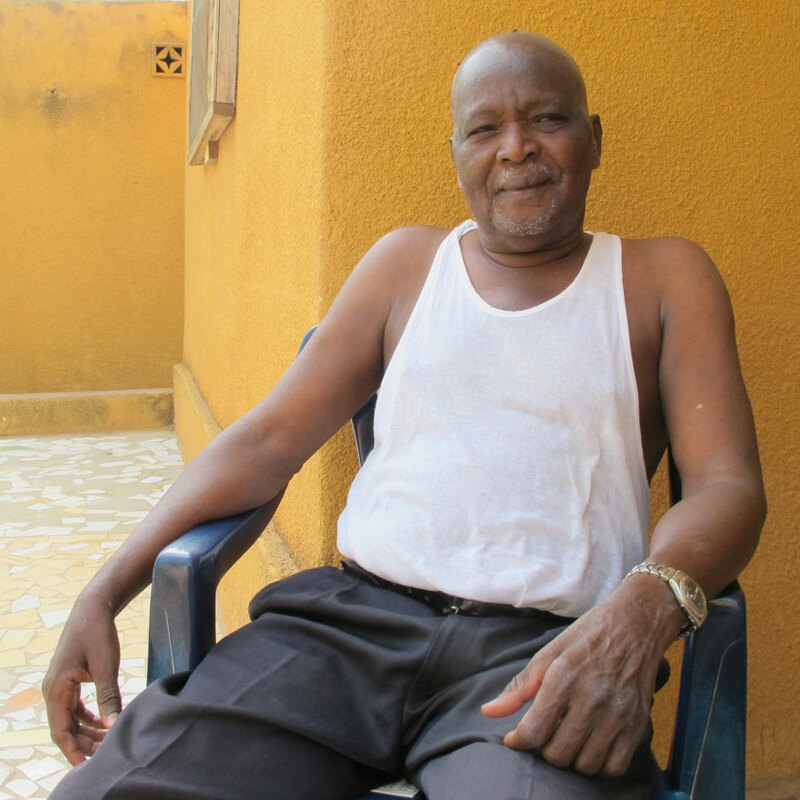 But it is safe to say that Wande is not one of the most popular djeli's in Mali. When I bought this cassette in the 1980s some Malians praised her for her pure interpretation of traditional classics, while others argued she was too intellectual (or even intellectualistic) to be loved by the masses, and her repertoire tended to be conservative or even dogmatic (if this is possible in music). I am not sure what 'won her over', but it is clear that she modernised her style sometime during the 1990s, - although she managed to keep the ngoni in. I don't have a reliable discography (or cassettography) of her work, but I think this must be one of her very first cassettes. These recordings were originally released on Sacodis LS 33 (presumably in 1980), and the tell-tale vinyl scratches and noises* seem to indicate that this cassette is a bootleg ripped from the Sacodis lp. All the tracks feature only Wande with Bazoumana on ngoni. Highlights to me are the brilliantly pentatonic "Ne Ya Me", "Mali Nieman" and - of course - "Bakari Dian", the epic story about that historic hero from Segou, Bakari Dian Koné. *including traces of reversed vocals which I can only attribute to an error in the alignment of the recording head when they made the 'mastertape' for this cassette. Well, let's get it over with then. I could have posted Osadebe's "Rangers International", "FC Dragons" by Johnny Bokelo or Mokontafe Sako's tribute to "Les Aigles du Mali". 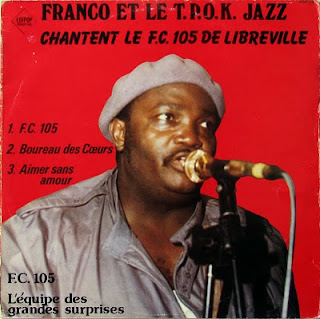 But instead I am going to go for a duel between two of the leading figures of the two schools of Congolese music: Franco and his Tout Puissant O.K. Jazz and Tabu Ley Rochereau and his Orchestre Afrisa. Both made a tribute to a Gabonese football team, the Football Canon 105 from Libreville. Gabon have never qualified for the World Cup. 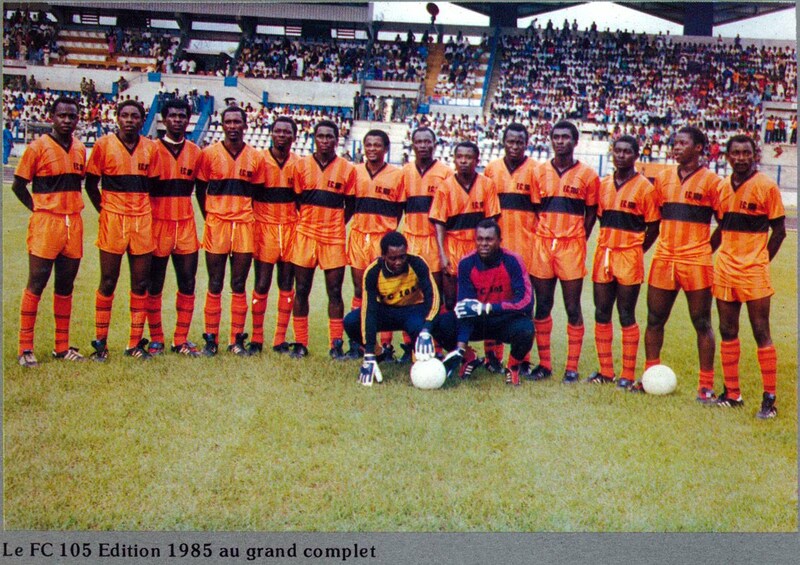 Their team, "Azingo Nationale" (or "Black Panthers"), finished behind Cameroon in the qualification for the 2010 edition, which has started yesterday. They did managed to qualify for the Africa Cup of Nations three times, with their best showing a place in the quarterfinals in 1996. In the 2010 edition they didn't survive the group stage, although they beat Cameroon. 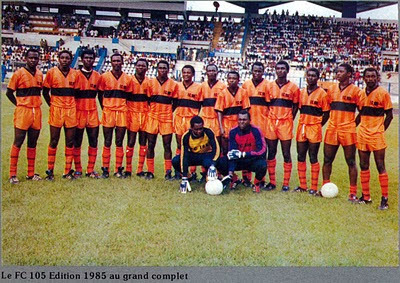 The Black Panthers play their home matches in the Omar Bongo Stadium in Libreville, - which also happens to be the stadium of Gabon's most succesful club: the FC 105 de Libreville. The FC 105, founded in 1975 as the club of the army and the police, was mainly succesful on a national level, winning 11 titles. Their heyday was in the 1980s. They won the championship in 1982, 1983, 1985, 1986 and in 1987. Given the political situation in Gabon at the time, I am almost certain that president Omar Bongo must have had something to do with this success. And I strongly suspect that he also had a hand in commissioning two of Africa's leading stars to sing in praise of those immortal heroes of the FC 105. Tabu Ley was the first to receive a commission. He released this lp in 1985, no doubt on the occasion of the fourth championship. 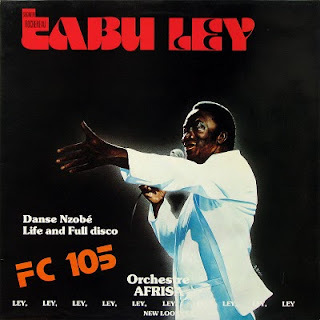 In his sleeve notes on the back of this lp Tabu Ley is trying hard to convince us that the release was inspired by his love of football and that the FC 105 had been his team all along. He is careful to avoid mentioning the name of Omar Bongo, even in the name of the stadium (..."dont je tais le nom"). As for the title track, listening to it terrible and traumatic images keep flashin in my mind of le Seigneur dressed in a white sheet prancing 'round the stage in the Melkweg. I have tried to trace the folkloric Gabonese dance "Nzobé" from which the rhythm was borrowed for this track, but have been unable to find a musical example in my collection. Personally I prefer the B-side of this lp, which opens with a version of "La beauté d'une femme" sung by Rochereau himself. This song is probably better known in the version sung by Mbilia Bel, which was released shortly after this version. The album is concluded by a track composed by Mekanisi Modero (who happened to feature in the recent Cobantou post). Franco's version of "le F.C. 105 de Libreville" was released the same year. Right from the start of this song it is obvious that Franco's approach of the subject is going to be more subtle. The chorus (heavyweights Josky Kiambukuta, Madilu System and - probably - Lola Djangi Chécain) recalls the foundation of the club, and when the horns set in an anonymous narrator 'officially' (or ceremoniously, if you like) announces the subject of the song. After this impressive opening Franco joins in after two minutes, on guitar first, and after 2'42 on lead vocal. Tabu Ley once told me in an interview that he started liking Franco's singing in the 1980s. I don't agree; I think he was already a superior backing vocalist, even in the 1950s. And as a lead vocalist he may not have met any belcanto standards, but he certainly succeeded in touching many an emotional button with his audiences. This is, however, not one of Franco's most inspired songs. Like Tabu Ley, he does little more than cite the names of FC 105 big shots and functionaries. In the sebene, after 9'14, the interplay between the guitars is quite interesting, with Franco injecting some short, but clearly recognisable chords. The B-side features two songs about the darker side of love. The first of these, "Bourreau des coeurs" (which translates as "ladykiller"), was composed by Denis Bonyeme, a singer who Franco had attracted as a (vocal) replacement for Ntesa Dalienst, who had left the T.P. O.K. Jazz in 1984. I can only guess what inspired Bonyeme, and perhaps it is only a coincidence that a french movie with the same name appeared a few years earlier. Curiously the lead vocalist in this song is none other than the man Bonyeme was supposed to replace: Ntesa Dalienst. Although he had moved to Europe, he remained an 'appartenair' (associate) of the O.K. Jazz, and was available for concerts and for recording sessions in the European studios. 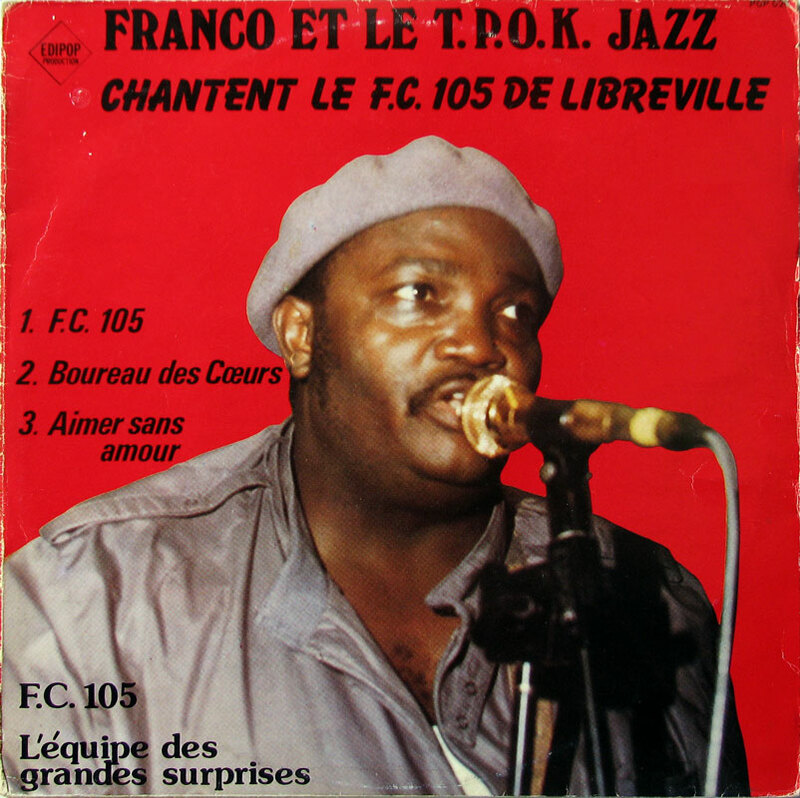 Franco's role on guitar was filled in by Thierry Mantuika. It is also remarkable that Franco played this song during two concerts in the Netherlands in 1984 (one of these - in which Franco himself is playing - can be found here) as well as during a concert in Brussels in 1983, i.e. two years before it was released on lp. The composer of the last track of this lp is a certain Djo Djo. I don't think this was a member of the orchestra. Perhaps this Djo Djo is singer Djo-Djo Bayingue, who played with Papa Wemba. Josky, singing the lead, is the main attraction of this song, with the solid chorus coming second. All and all this is quite a good B-side, and better than a lot of other albums from this period. Instead I would like to dig a bit deeper into Congolese music. 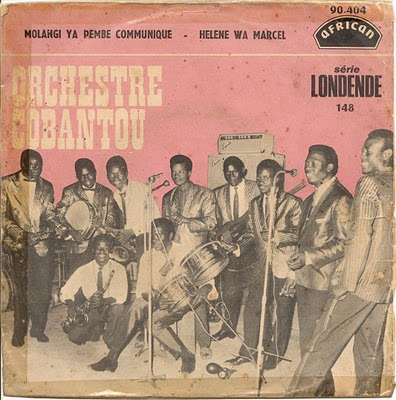 And in this post I would like to share three singles by Orchestre Cobantou, the orchestra founded and led by Paul Ebengo, better known as Dewayon. You may recall that Dewayon played a crucial part at the start of Franco's career. Given this shared past, it is not surprising that when Congolese music started to be divided in two sides (or 'schools', or influences), Dewayon and his orchestra were categorised as belonging to the O.K. Jazz school. Nevertheless Dewayon has always managed to retain an authentic sound, at first - after switching from Loningisa to the new Esengo label in 1957 - with his Conga Jazz, and subsequently with Cobantou. It is a pity that so little has been documented about the history of this orchestra, which over the years saw a great amount of very talented musicians pass through its ranks. It appears that Dewayon had some difficulty retaining these musicians, because I don't think many stayed for very long. One of these talented musicians was guitarist Raymond Brainck, who I mentioned in these earlier posts. I am not sure when Brainck ceased to be a member. I known he was with Cobantou in the early days of the Londende label. It is clear, however, that Mobutu is the subject of both songs. Equally remarkable, but for very different reasons, is the second single, released as Londende Lo 043. The A-side contains a relatively normal rumba composed by Dewayon. In the song some of the members of the orchestra are named. Raymond Brainck is mentioned immediately after Dewayon (1'55 into the song), and they are followed by singer Flamy (Pierre Kiyika a.k.a. Kiyika Masamba) and Gérard (probably sax player Gérard Kongi, and probably not Gérard Madiata), Francky (the great singer Franc Lassan?? or the sax player who played with Nico? ), Chécain or Lola Djangi (who switched to the O.K. Jazz in April 1967), singers Champro (often spelled as "Champrou" or even "Champroux") and Emmano Mbala, rhythm guitarist Jacky Mambau, someone called Tollo (who can he mean?? ), Jean-Paul (or Champro again? ), Modero (more than likely sax player Mekanisi Modero, who later played in Tabu Ley's Afrisa) and André Mazi (drummer). Although this summing up of the names of band members may sound narcissistic to present-day western audiences, it was almost a necessity for a lot of African musicians, not only to receive immaterial credit from audiences in a largely oral culture, but also to avoid being excluded when it came to dividing the revenues. The third single is from a later date; it was originally released as Londende Lo 148. This suggests, by the way, that Cobantou have recorded and released quite a few singles in a short period. I deduce this from the presence of Chécain (standing fourth from the left and audible in the song on side A, and possibly on side B too). Apparently Raymond Brainck had left the orchestra, because Delafrance (before with Nico's African Fiesta) is named as the lead guitarist. I particularly like the A-side "Molangi Ya Pembe Communiqué". Again I invite you to correct, add, comment etcetera. I am trying to help in reconstructing some of the history of these glorious orchestras. Edit (June 11, 2010): Here are all three singles in one file. I always get a little depressed when I have to report that another one of my musical heroes has passed away. Maybe this has to do with the realisation of my own mortality, - who knows? On the other hand it is very good to hear that others are still alive and well. As is the case with our musical hero from Burkina Faso: Amadou Ballaké. I received a mail from the very active french writer and 'voyageur' Florent Mazzoleni, who has recently visited Ballaké at his home and sent me these two photos of a very relaxed looking grand maître. It seems a good idea to grab this opportunity to post two singles which have been posted earlier on the unrelentingly brilliant Orogod blog. In my humble opinion it appears to me that the copies I have of these singles are slightly better than Oro's. Plus I would like to draw your attention to an anomaly with regard to the titles. 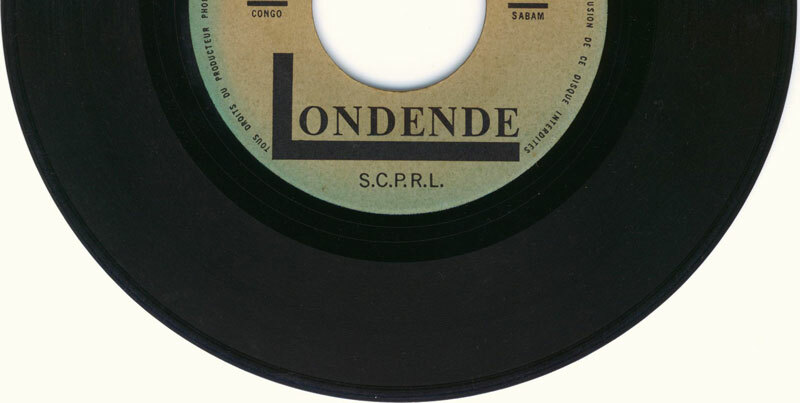 On Sacodis SCD 68 the sleeve carries the title "Simbaraba", while the label on the record itself has a title "Apopllo". 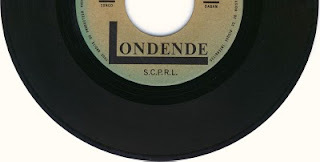 Likewise, the B-side of SCD 68, "Kelebila", is a song of which many - mostly traditional - versions exist, and perhaps even more than of "Apollo". I would like to especially mention the version by the legendary Sory Kandia Kouyaté, but I am sure I have heard it on several occasions in Mali (although I can't recall who was singing it...). I sincerely hope more Ballaké will surface in the future. I for one will be looking out for (and forward to) it! * and please feel free to correct me if I am wrong! EDIT August 9, 2015: The links have been renewed! Veux tu danser avec moi? Having finally recovered from a hard disk crash and with all systems back in working order, I think it may be a good idea to post some more music from that glorious era of Congolese music: the late 1950s and early 1960s. This time with some more hits from the Ngoma label. The oldest of these are by Camille Feruzi and his Mystérieux Jazz. Camille Feruzi was born in Stanleyville in 1912. At a very young age he taught himself to play the accordeon, following in his father's footsteps. When his father was at work the young Camille used to secretly practise. At the age of 15 he moved to Leopoldville, but it wasn't until ten years later that he started his career in music. Together with a sax and clarinet player from Guadeloupe he started a musical group, with apart Camille's accordion and the Guadeloupean's sax & clarinet a piano and a guitar. The ensemble played in bars and at private dances. In 1948 Camille Feruzi is one of the first musicians to be contracted by the Ngoma label. His first hits were "Makango" (Ngoma 27) and "Polina" (Ngoma 29). His star seemed to fade after the first few years, and his career seemed to end with introduction of electrical instruments. But in 1957 he managed to resuscitate his contract with Ngoma by starting an orchestra called Mystérieux Jazz. Key members of this orchestre were bass player Taumani and singers Beya (a.k.a. Ténor Beya) and Mariola. The orchestra's first record was released in early 1957, with "Biso Na Yo Mbula Moko" on the A-side and "Nabala Muluba" on side B. Apparently it wasn't an immediate hit, because it wasn't until a year later that they were allowed to enter the studio again, this time to record "Emiyama" and "Na Motindeli Mokanda". These two songs did ignite the fuse, and the Mystérieux Jazz continued making a several dozens of records for Ngoma. I would like to share two records by this orchestra with you: an EP from the Ngoma Super 45t series, with besides "Nabala Muluba" (which was also released on "Ngoma, the early years" PAMAP 101) three songs originally released in 1959, and the record from 1958 which really turboed his career: "Emiyama" and "Na Motindeli Mokanda". To compensate for the inactivity of the last week I am adding two more EP's from the Ngoma Super 45t series. The first is by Orchestre Jecokat. I haven't been able to find out a lot about this orchestra, apart from the meaning of the abbreviation "Jecokat", which stands for "Jeunes Comédiens du Katanga". I have had to check a few times to verify that I hadn't made mistake in copying the title of their second song "Ami Pauvre Vida", but I can assure this is what it says on the record label. All four songs of Orchestre Jecokat are outstanding examples of the exceptional level of Congolese music in the early 1960s. The second EP is by Vedette Jazz, an orchestra founded in 1958 in Brazzaville. In their early years they were joined by legendary sax player Isaac Musekiwa, who at the time had made a name for himself with African Jazz and (from 1957) with the O.K. Jazz. Musekiwa left to rejoin Franco, but these songs - probably from the mid-1960s - feature an artist who from the early 1970s became a loyal member of the O.K. Jazz: Mpudi Decca. I am not sure if he was playing bass in these tracks, because - if I am not mistaken - André Lasso, who composed the songs on the B-side, was (also) a bass player. PPS: All tracks in 1 file here. There seems to be a problem with Adrive. The whole Adrive site is unavailable (probably since yesterday). So links to Adrive are not working. I can only hope that this is a temporary matter. On the bright side: this coincides with a hard disk failure on my computer. I hope to get this right by tomorrow (or Thursday at the latest). EDIT (a few hours later): The problem appears to have been solved (at least the one with Adrive...).